Carlette teams up with WeCoach to share her passion for Sports Life Coaching as her career serving the heart of athletes and coaches. "Carlette Patterson is truly a 'life coach' who will change your life in all the right ways. She absolutely understands how to help people of all ages and backgrounds build character and successful behavior. She has had a tremendous impact on our ASU Women's Basketball program through both one-on-one life coaching and facilitating positive healthy relationships in team sessions. She is masterful at helping us uncover our strengths but even more importantly, she gives us the 'tools' to improve our weaknesses and to handle adverse situations. 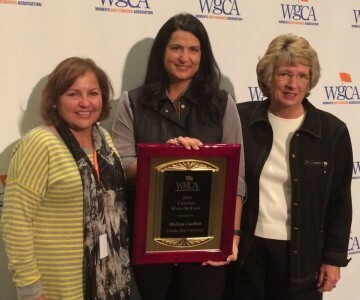 She has been an integral part of our team's growth into a Top 10 Program." 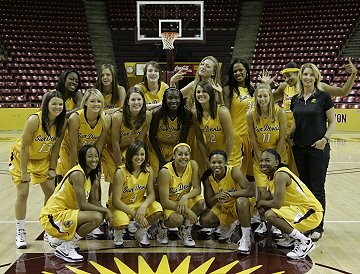 Charli Turner Thorne is the Arizona State Sun Devils head women's basketball coach. She was named the 2016 Pac-12 Coach of the Year. 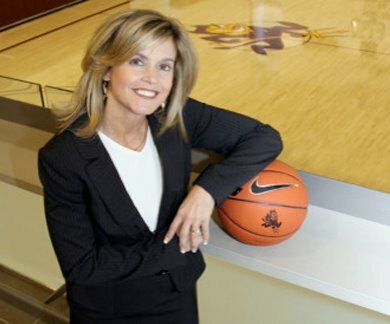 She is the winningest Sun Devil coach in Sun Devil women's basketball history and No. 2 in the Pac-12 in most career wins (380). "Team Building is important to cohesion and sets the foundation for an entire season. The activity choice must be right for each team in order to achieve the desired outcome. Carlette's culture creation retreat was the most powerful Team Building activity I have ever been involved in my 14 years as a head coach. The activities were introspective and enabled our team members to share with other at a very deep level. We learned more about each other in 4 hours than we may have in 4 years." Interested in more information on 3D Coaching 4 Significance? Use this form to contact Carlette, or email her at Coach@Carlette.com.